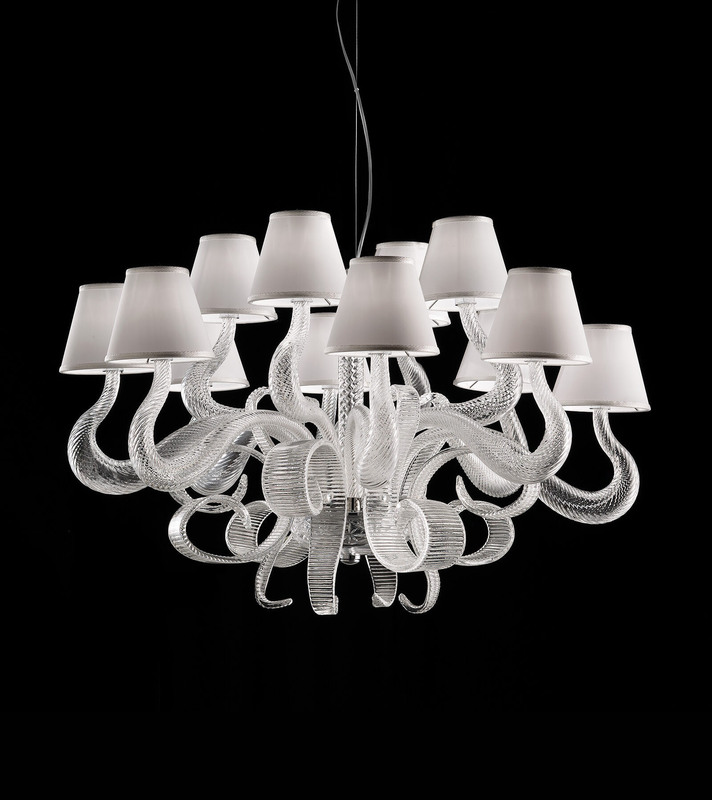 Modern suspension chandelier lighting made with perfection and elegance of Italian traditions. Clear suspension 12 lights chandelier is perfect for most of the living room interior design projects. 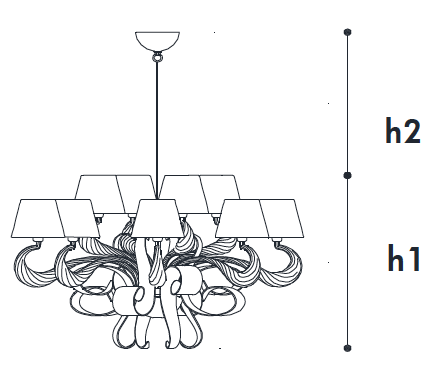 This chandelier is available in 8, 12 and 15 lights, as well as custom size. The customization available upon request.